It’s No Joke – I’m Posting! Hello there. It’s been a while, yes? I have been doing all my updating on other social media platforms just because I somehow seem to be able to put up a picture and a few lines faster than sitting down at the computer to write out my full thoughts on something. Sorry. But really, if you are on things like Facebook, Twitter, and ESPECIALLY Instagram…you can keep up with all our happenings because I post daily there. Tis the busy season now for our bees here in South Texas. 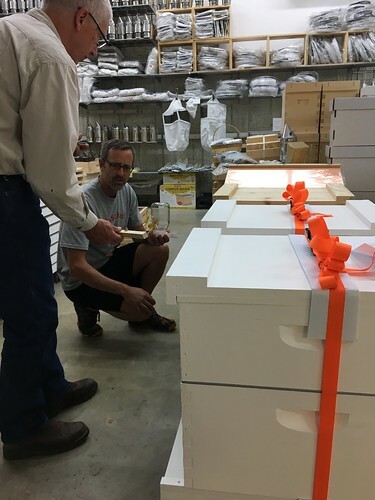 Mark has begun his hive dividing in preparation for our nuc customers. We still sell a very limited number of nucs each year, primarily to our beekeeping students but also to a handful of other customers. 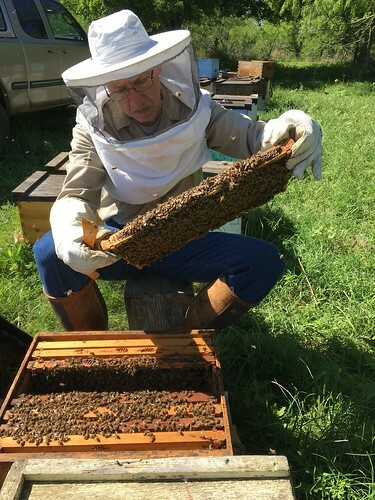 We are still at about 200 hives and maybe 10 bee yards though we continue to seek ways to consolidate apiaries in order to work them more efficiently. A lot of that has to do with the fact that there’s so much work to keep the bees going while also maintaining and running the shop. Not to mention working all the administrative details of small business. Fun and we love it, but lots of work. We are loving the shop and being there! So cool to help our customers with what they need. The classes are going strong (filled up for spring and fall dates for Introduction to Beekeeping should be up soon on the website) and so are the workshops designed to focus on specific beekeeping topics. This morning’s topic was South Texas Honey Plants with special presenter, Bill Evans. Huge group and lots of great discussion. My favorite thing on Saturdays is peeking into the Showroom between my Honey Store customers to check on the beekeepers. Makes us so happy to see people hanging out and talking bees even after the one hour workshop is over. It’s a great way to network with other beekeepers. Even if you’re not a beekeeper yet, it’s a great way to start learning about things. We love seeing our customers showing other customers something about a product we have in the Showroom! I saw today that our dentist and her husband were in the shop – they’re starting their own beeventures, too! How cool. If you haven’t noticed, I did just list new dates for upcoming “Drops” in San Antonio – that’s where we take orders into SA and meet up with customers at a designated spot at Pearl. I also listed the fall Introduction class dates but wait a few more days for it to get updated on the website please. If you have any questions, just comment here or you can always email or call us. info@gretchenbeeranch.com or 830-305-7925.